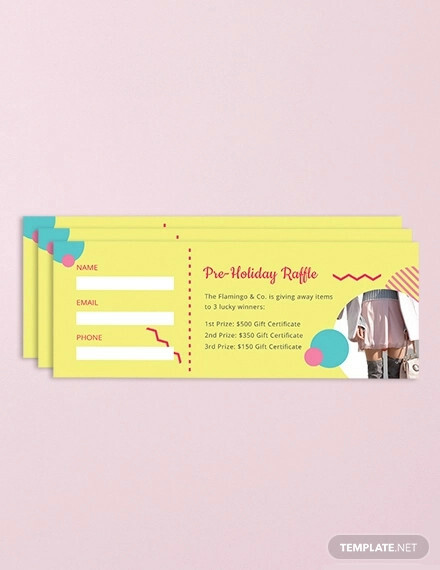 After working with tag designs, greeting card designs, billboard and label and multiple other designs, here is a chance for you to work on ticket designs. 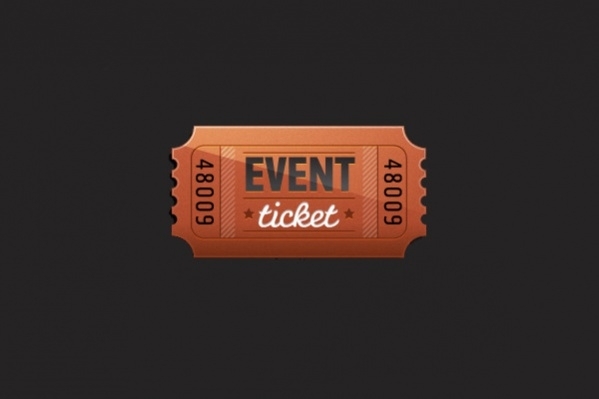 Well, a ticket is required and usually provided for any event, corporate or entertainment based. And some designer did actually design the initial design template. 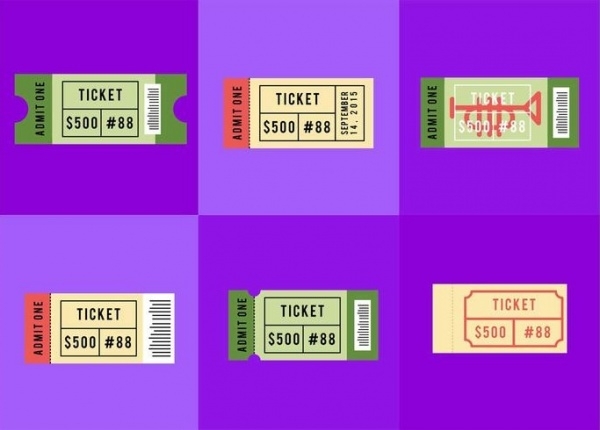 Here are some of the free ticket designs that you too can use to learn about the different styles of ticket designs. You can use these free mockups and templates for the theme it mentions. 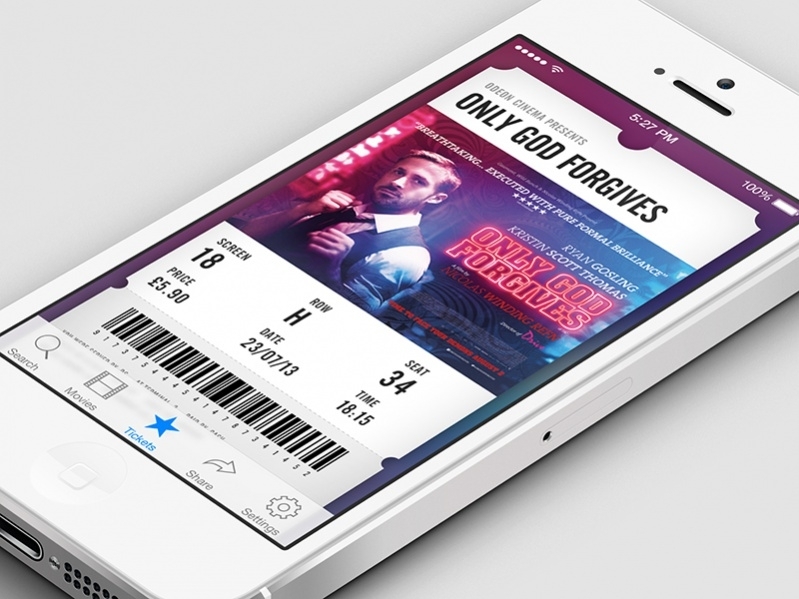 Check out this cool movie ticket design template by Piotr Adam Kwiatkowski. The fine design can be customized with the image of the playing movie and changes in theatre screen and seating details. 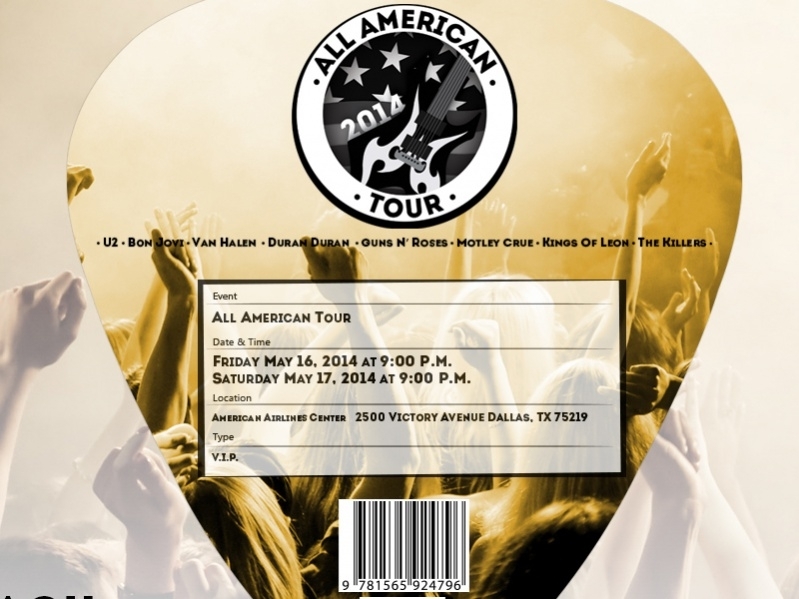 There wouldn’t be a single time where you go to a concert and not have to produce a ticket, if done officially. 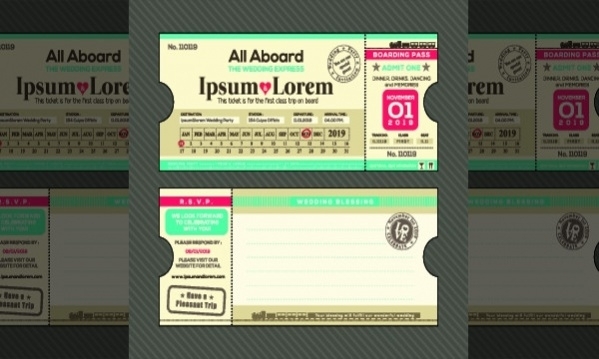 Here is a collection of 6 basic ticket stubs that you can use for your project along with other designs for the similar idea. 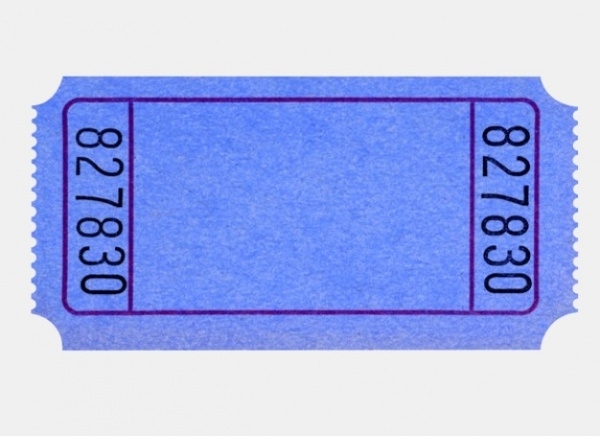 If the tickets are to be sold on the spot, there can be times where you would prefer a blank ticket design. Here is one that is available to you as a high quality stock image to download for free. 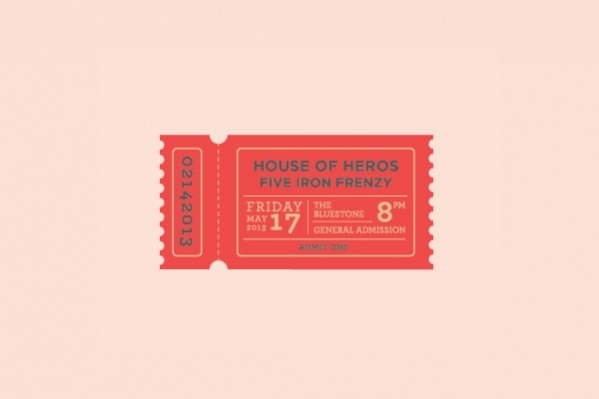 Something along the lines of concert, here is a ticket design collection for a fiction rock festival. You can download these multiple designs as a reference by the US based designer Juan Roque from the given link. 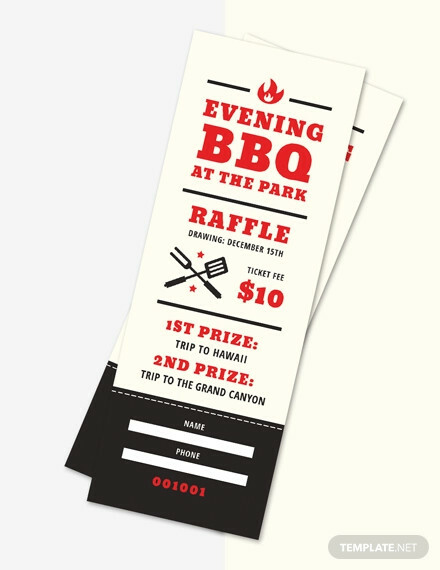 Check out this raffle ticket design template by Will Dove. The design is pretty simple and should encourage you to design one for yourself in case you have a little time to spare. 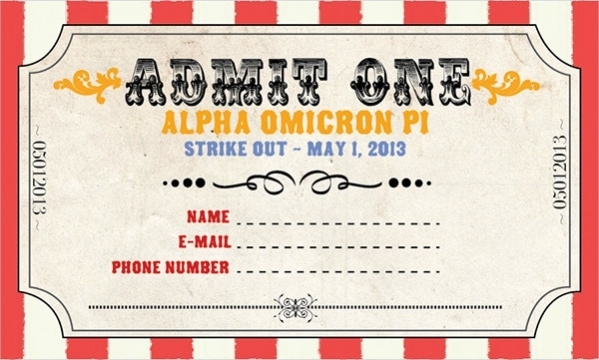 If you are not with the team, you will probably need a ticket for the baseball game. 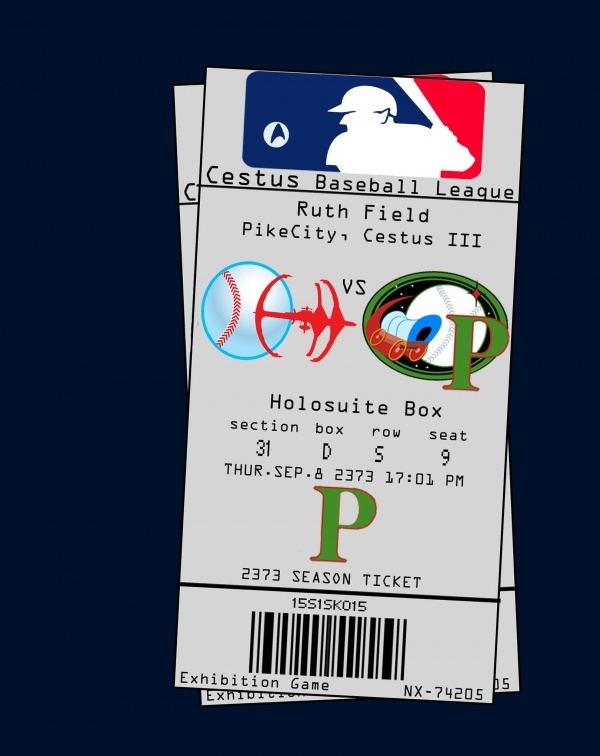 And in case there is a game scheduled in your local park for the coming week, you can design an entry ticket for them using this fictional baseball league ticket design. 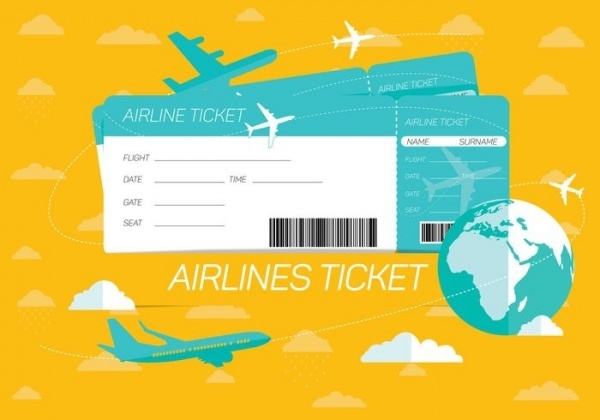 Travelling through any mode of non personal transport also includes a ticket. 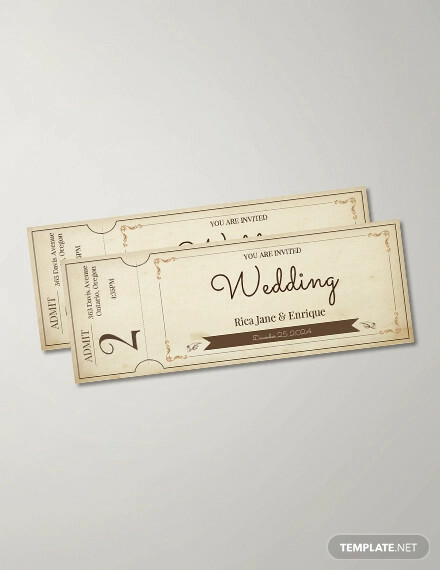 And here is ship ticket design available to you as an editable vector in eps or ai file format. Another major are where the tickets are used the most is the lottery business. And every lottery system has a different ticketing style. 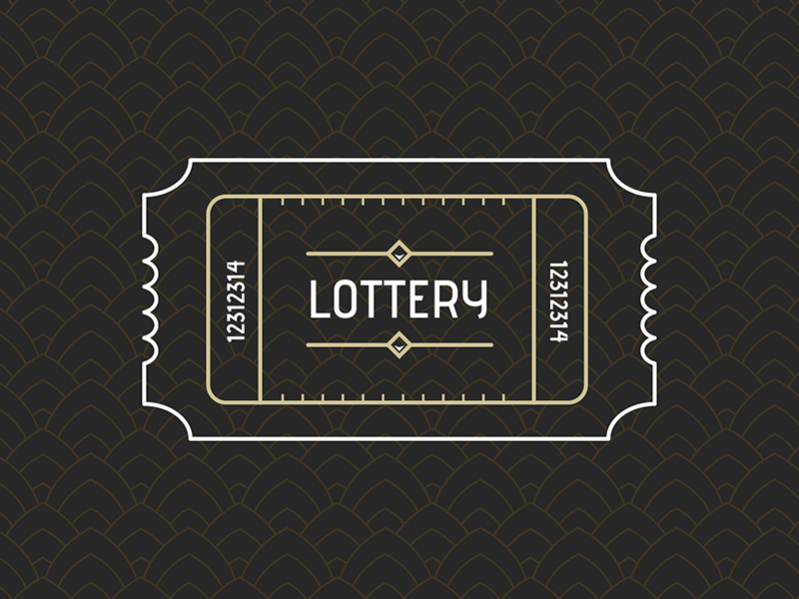 Here is a doodle version of a simple lottery ticket for your starter pack. 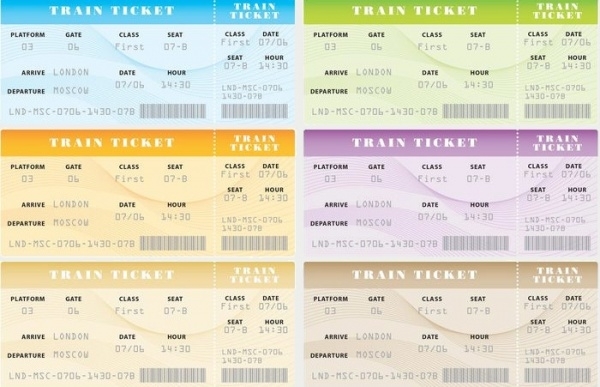 After ship, here is the train ticket design collection. 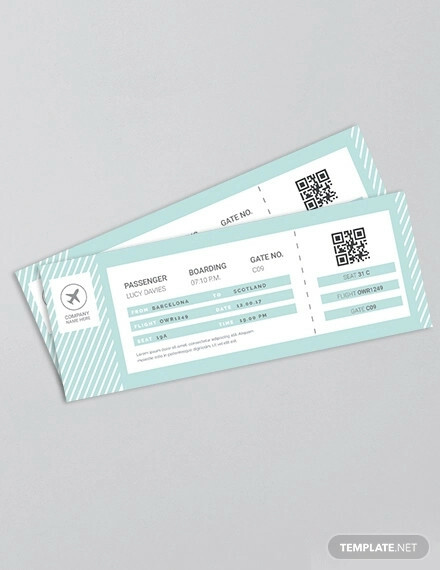 You can download the 6 different colored versions of the ticket design as a vector and use them separately after isolating them. 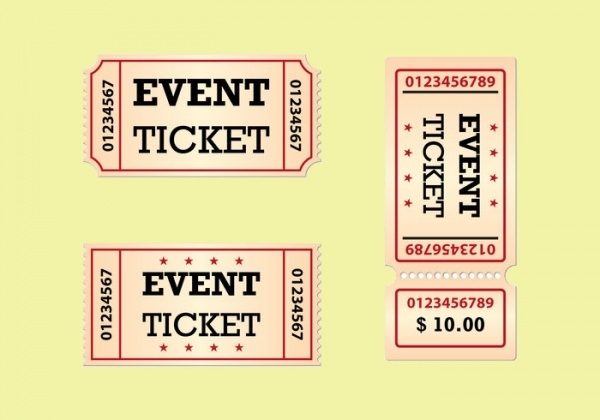 Here is a ticket design by Ryan Putnam for any random event. 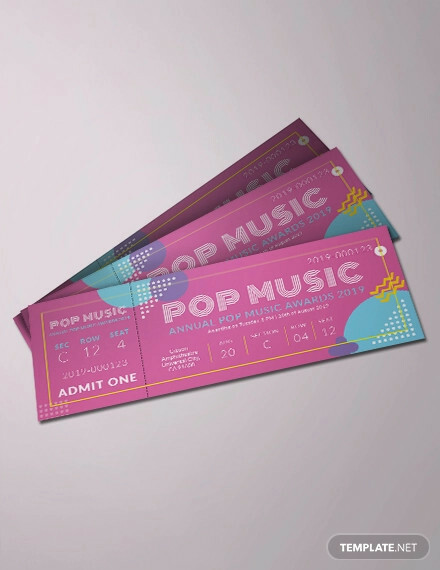 This design can be used as a reference for your ticket or icon design with the shiny embossed effect. 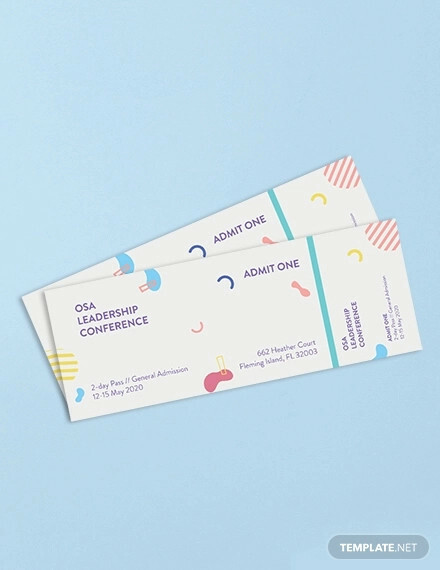 Check out this carnival ticket design by the US based graphic designer Dana Menditto. The design contains the elements of the carnival, like the use of the striped background and the choice of typefaces for the retro appeal. Here is a Valentine’s Day Concert Ticket design by Kendall Brieck. 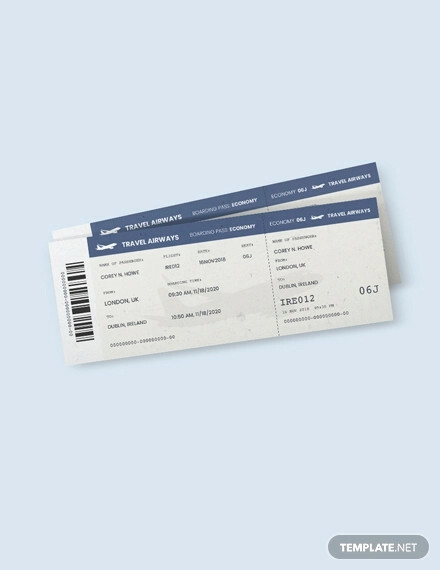 This ticket design is similar to others what you have seen before, but just that this has a neat look with the choice of sober colors and mellow tones. 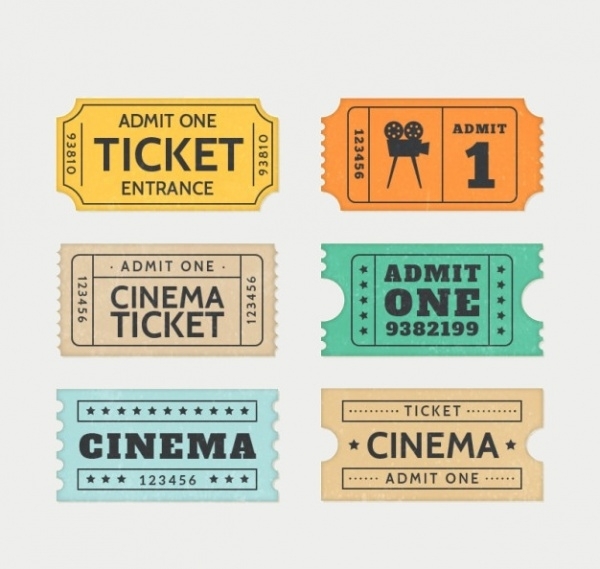 The name of this free stock vector illustration is Retro cinema tickets and is basically all you need to design a ticket from the time before we started using mobile applications for ticket. 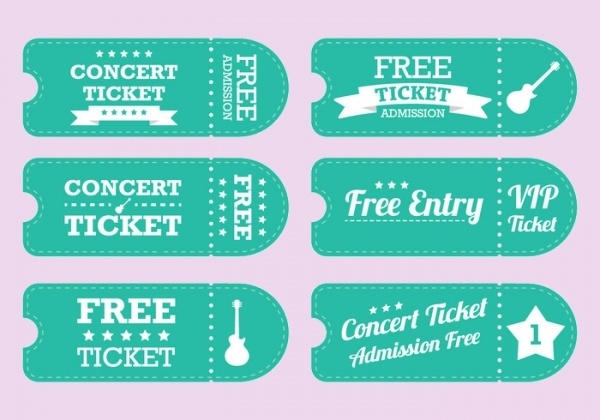 Here is a collection of 6 different designs for a concert ticket. 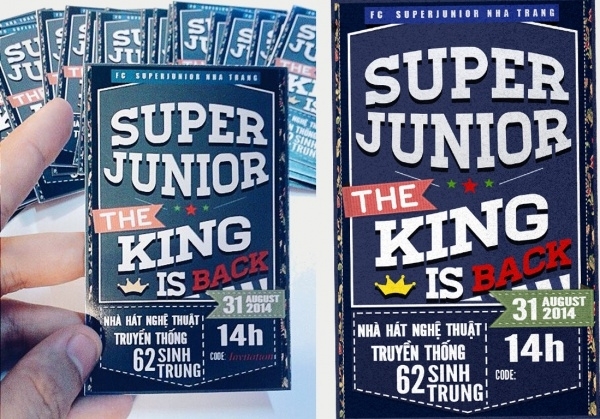 The various designs are for various kinds of people who might be attending the concert. You can download this vector pack for free from the given link. 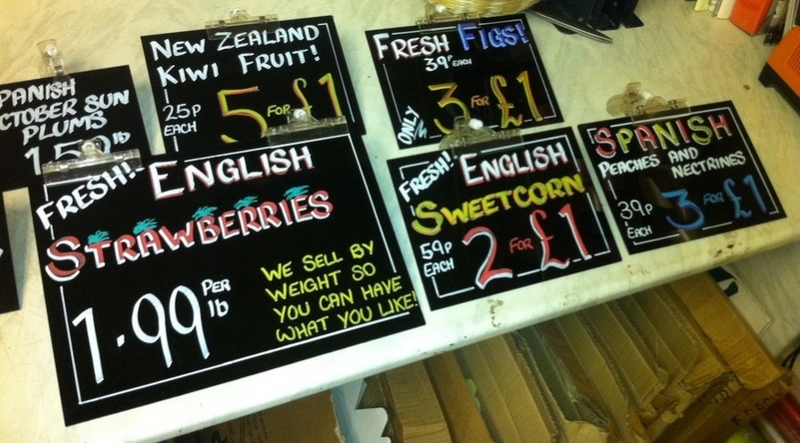 Here is an example of chalkboard price tickets for fruits and veggies. 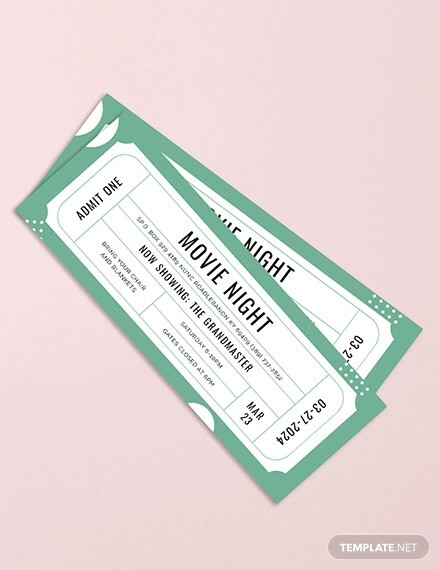 You can have this design as a reference for your own ticket design or as a layout for the hand drawn chalkboard ticket. 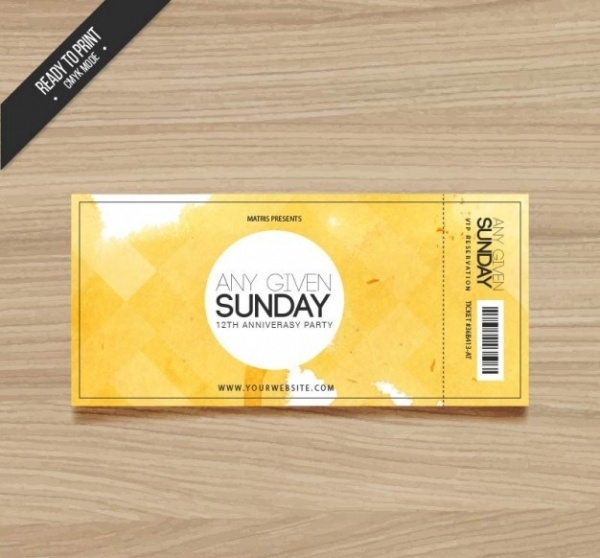 Here is a ticket design in a golden watercolor finish that you can download for free as a vector illustration. The design is set in ready to print CMYK colors and can be downloaded from the given link. 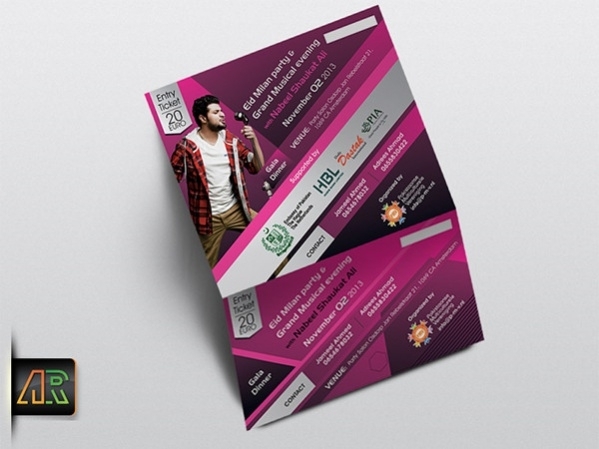 Here is a detailed design for an entry ticket for a music concert and party by Dubai based AR Creatives. You can keep this design that can even pass as a party flyer or a invitation poster. 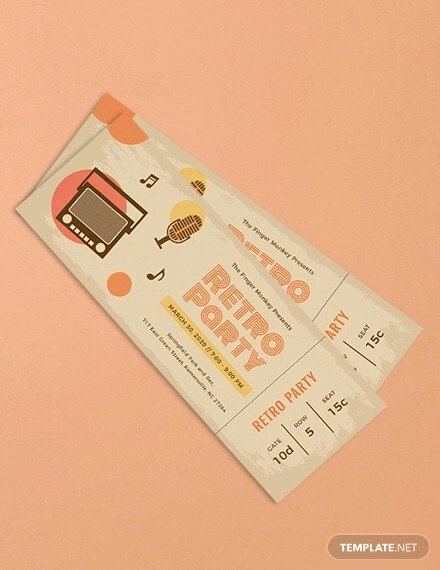 Since we were just mentioning about party, here is an actual party ticket design that you can use for the ticket with the DJ’s name and details of the club where he or she will be playing. 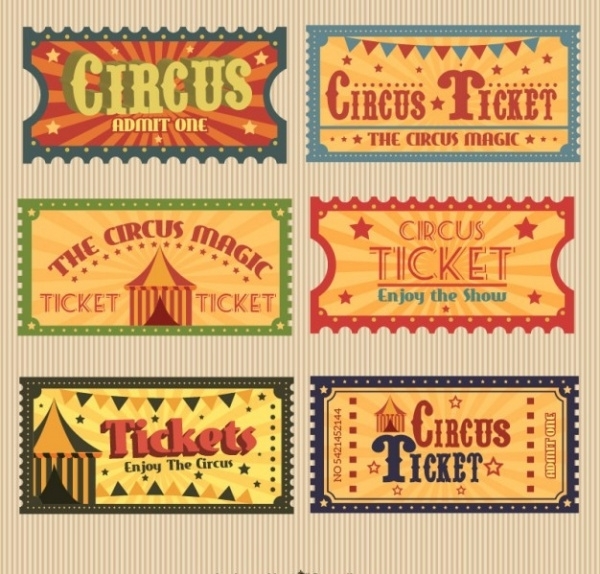 All the essence you would want to have in a circus ticket design is all available here in this vector illustration of 6 different circus ticket designs. You can isolate and use each of the designs separately. 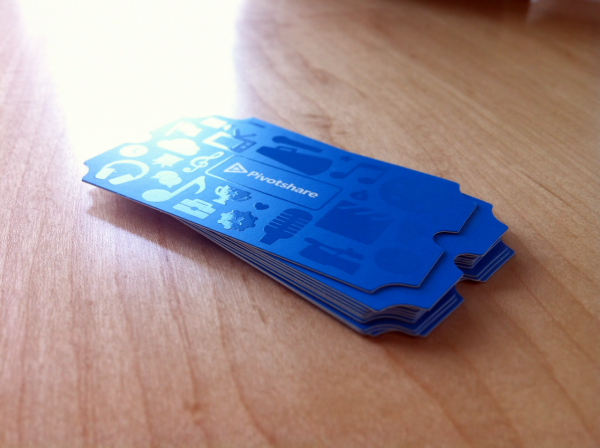 Here is an image of a real business ticket card that was printed for Pivotshare. 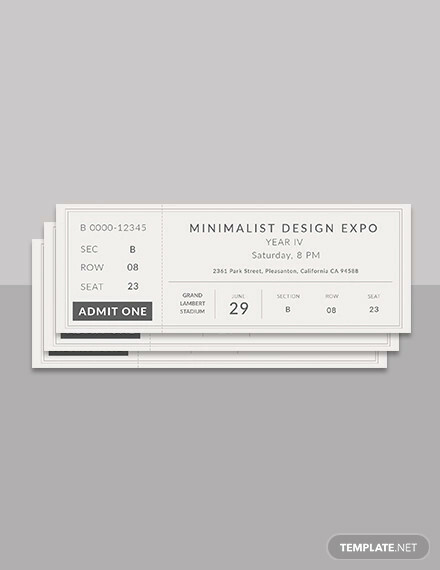 The design by Ryan Ford can be used for references or inspiration to your card ticket designs. Most of these designs are for you to use for both personal and commercial purposes. But there are also many where you need to check the licensing agreement before using for commercial purposes. 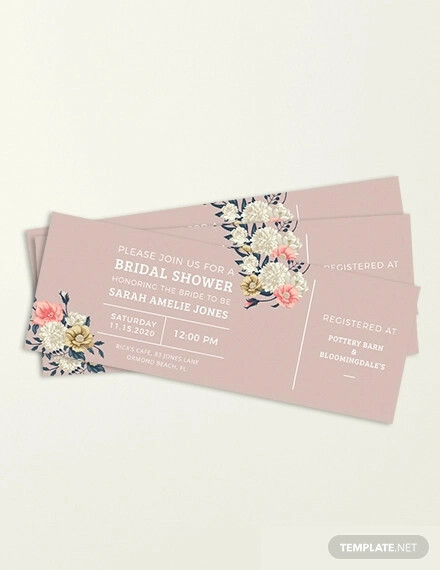 So once you have done all the basic things, you can simply edit them if there is any customization involved, and then take to your printing guy for the choice of finish and paper you would want. 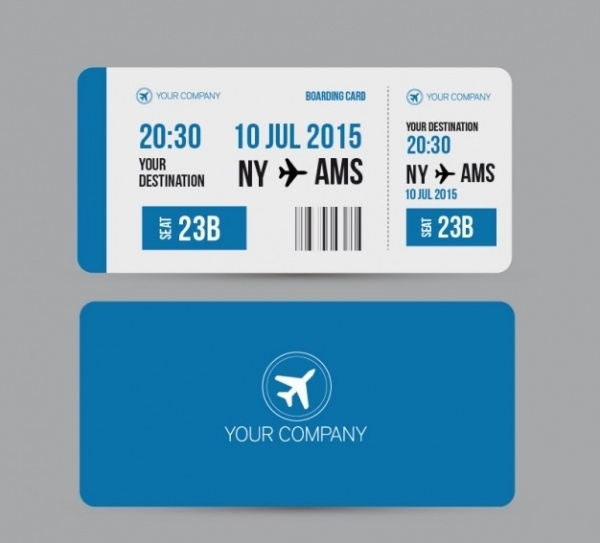 You could also create a basic design that could be used for digital tickets as well. 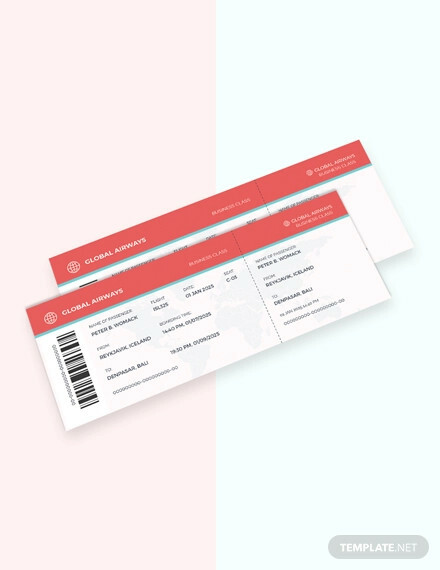 These editable free ticket templates are for everyone, starting from beginners exploring about design skills to experienced personnel who respects a good design and could even save a few hours of work. You could next check out our collection of free greeting card templates now that it is the busy time of the year for that.